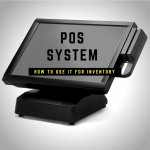 Maximizing your POS system is a big part of running an efficient and profitable business. I pulled together three different blog posts about maximizing your restaurant POS System and here they all are in one place. You paid for it. You might as well use it to your advantage. David Scott Peters is a restaurant expert, coach, trainer and speaker, specializing in systems for independent restaurant owners. He is the nationally acclaimed restaurant coach whose unique “SMART Systems” approach to boosting profits has earned him the title of, “The man who can walk into any restaurant in America and find $10,000 in undiscovered cash before he hits the back door – Guaranteed!” Visit www.TheRestaurantExpert.com for more.